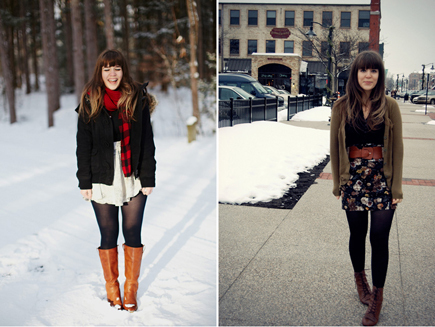 With the mini snow flurries happening this week, I thought I'd be a good time to reflect on a few of my past favorite winter outfits! 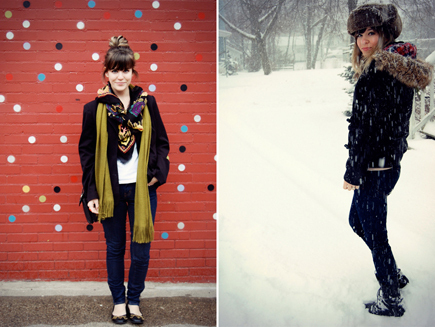 Winter is definitely the most challenging time to have a fashion blog, but I'm looking forward to this year. I think it's mostly because of my winter Pinterest board. Hehe! I'm looking forward to ice-skating, mittens and hats, purple and blue skies, bundling up, hot cocoa and pretty white snow. Here's to an upcoming great winter!